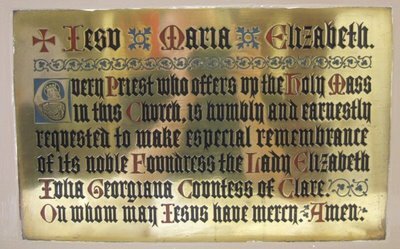 As I mentioned, the Church was founded by the Countess of Clare. 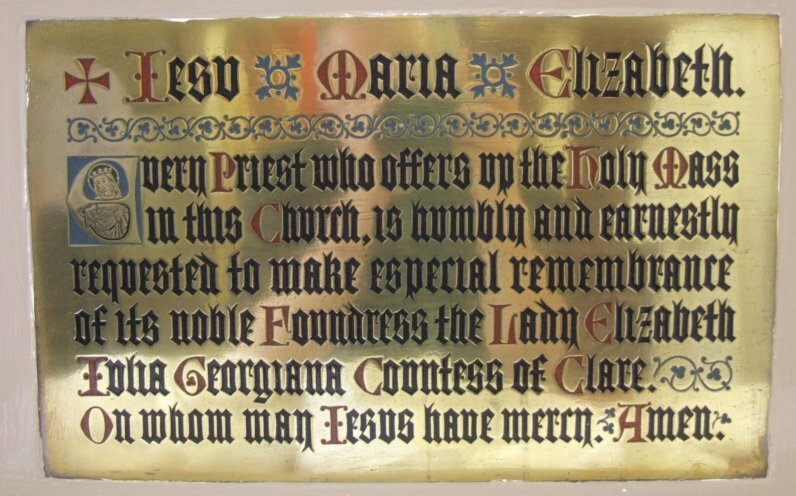 In the sacristy, there is a brass plaque asking the priest to remember her at the Mass. 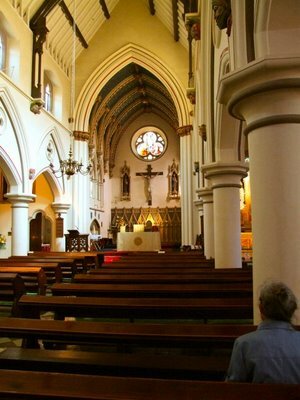 The Mass was for the feast of St James and I took the opportunity to refer to the devotion that the Spanish people had to St James, particularly in relation to the conversion of Muslims. I tried to spell out some of the ways in which Christianity fulfils "anything that is true and holy" (cf Nostra Aetate n.2) in Islam - such as the practice of regular prayer, almsgiving, modesty, and love for the family. 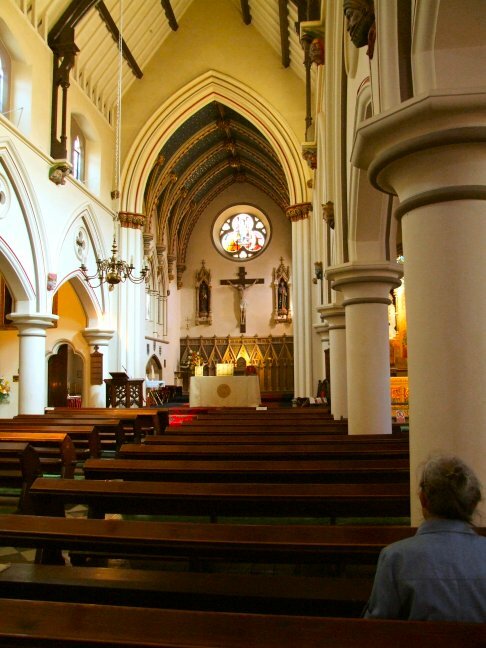 I also suggested that we should be less timid about evangelisation of Muslims since every Muslim convert I have spoken to tells of how the message of Christianity was a wonderful discovery for them. It was a relief to me that Fr Joseph Moukarzel was kind enough to comment favourably on what I had said. 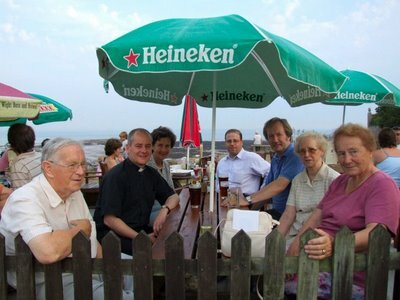 Fr Joseph is a Maronite priest from Lebanon who is staying in England in order to do some research and has been helping out at Ryde while the parish priest is away. It was most interesting to talk to him about the Church in Lebanon. He works at the Holy Spirit University at Kaslik and is hoping to return soon. In the evening, a group from the LMS took myself and Fr Joseph out to the Crab and Lobster pub in Bembridge, overlooking the sea.